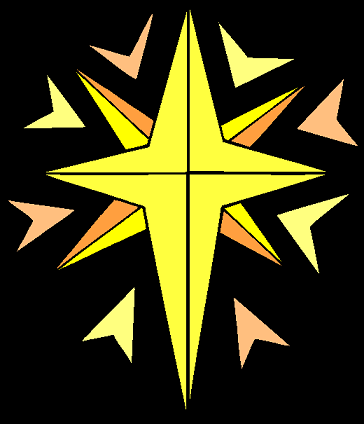 According to the Gospel of Matthew, a star (known as the Star of Bethlehem) heralded the arrival of Jesus Christ and led the Magi to the place of his birth. Having stars as Christmas decorations. Especially as the decoration on top of the Christmas tree. By the words of Christmas carols such as "We Three Kings of Orient Are". Poinsettia flowers, which are a striking red flower native to central America, which is frequently used as a kind of floral Christmas decoration in Mexico and the United States of America, have a star-shaped leaf pattern. According to the Franciscan friars who first began using these flowers as Christmas decorations (in the 17th Century), this leaf pattern is appropriate since can be seen as a depiction of the Star of Bethlehem.